Salvia uliginosa ‘Reach for the Skies’is an awe inspiring tall perennial plant for the back of a sunny border, flowering from late summer almost into winter. Lovely citrusy scented foliage emerges in late spring. 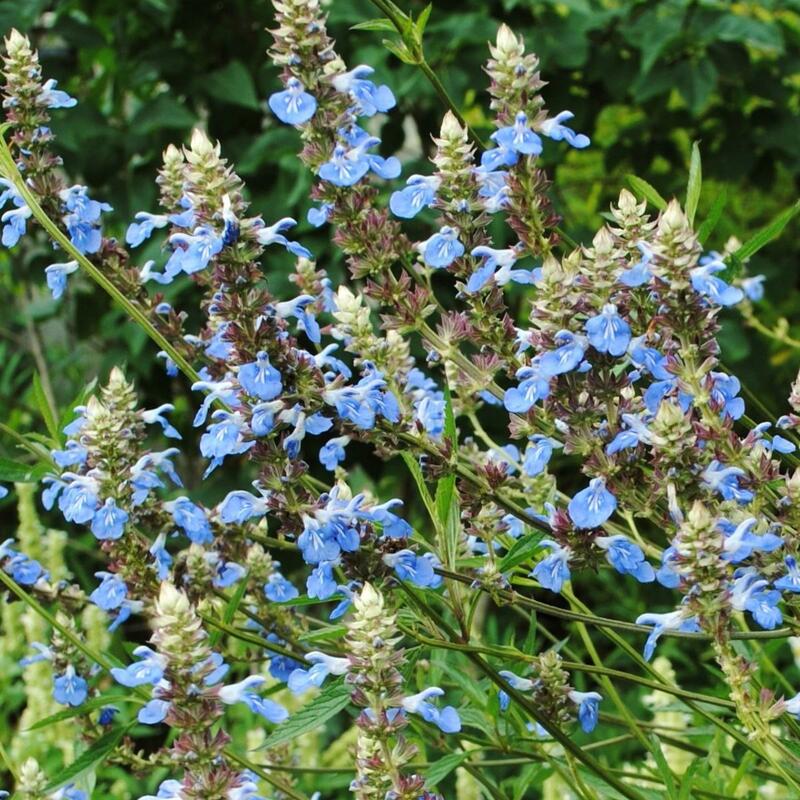 The flowers, almost turquoise blue, appear in short spikes at the top of tall, almost leafless stems and appear to hover among other flowers.Each flower-head has only a few blooms open at a time, so the same heads keep flowering for several months by producing a succession of flowers. Bees, bumblebees in particular are always visiting the flowers of this species, despite this clone being completely sterile. 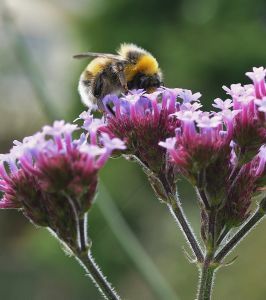 The flowering stems are very robust becoming quite woody and once established rarely need staking but can reach up to 120cm high. It is a robust spreading perennial which some describe as thuggish. Nothing as beautiful as this could ever be so described,but it is not ideal in smaller gardens. The Royal Horticultural Society has given Salvia uliginosa an Award of Garden Merit (AGM), which in all likelihood was awarded to this clone. 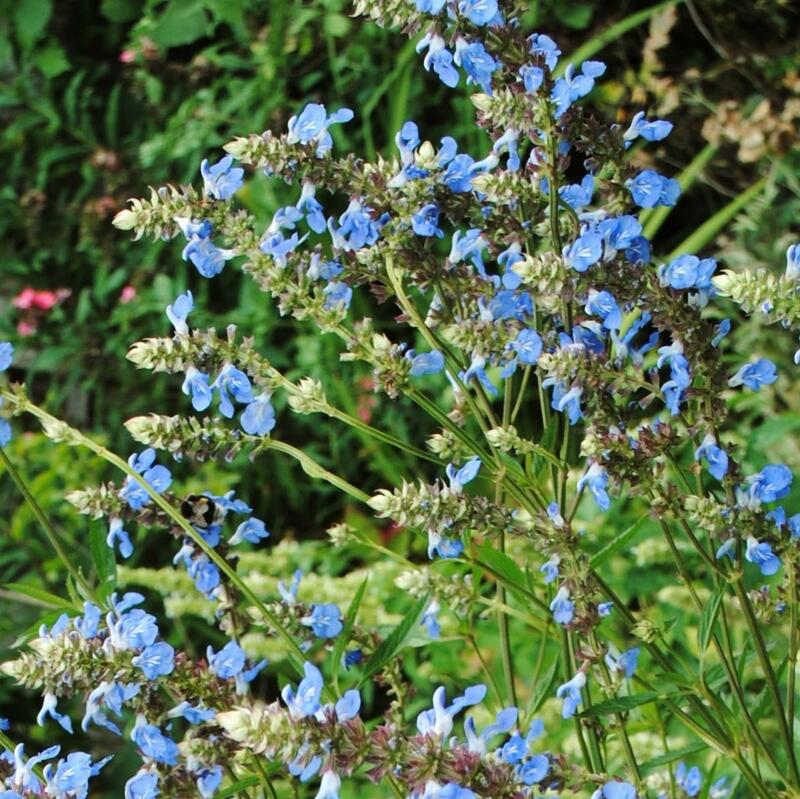 An easy to grow perennial - plant in any good garden soil in sun or partial shade. 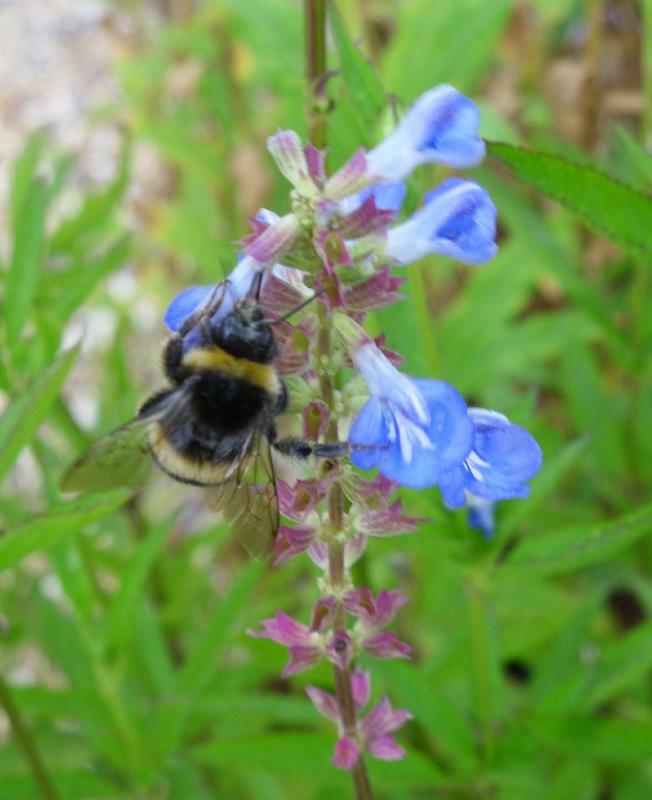 Salvia uliginosa is referred to as the ‘Bog Sage’ and indeed is very happy in such conditions. My first experience of the plant was in the early 1980’s in what was then the Tender Garden at the Hillier Arboretum and this was certainly not a boggy area. It was at that time of course exposed to much harder winters as well, so although the species hails from South America and Argentina in particular, it is very hardy - but can always benefits from a good mulch in colder areas. Prune back old canes in early spring and pull out any that have spread where you do not require it.